The name of this dish, Carrot Cake, is a misnomer, as there are no carrots in the dish, and it has no relation whatsoever to the western style pastry dessert. 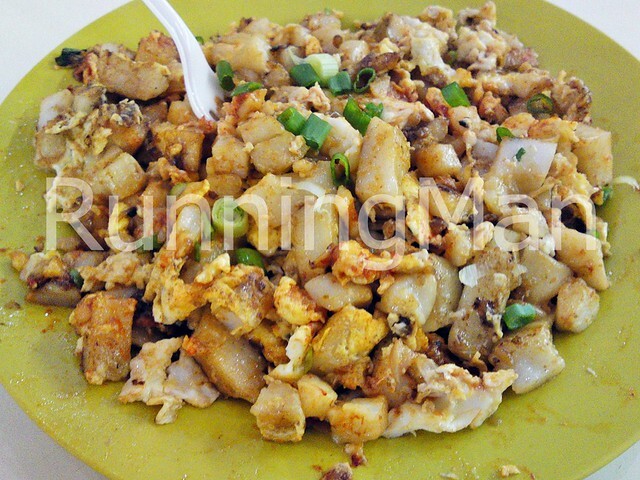 Carrot Cake is a Teochew dish, made with shredded white chinese radish (Daikon) and rice flour. The resulting radish cake (daikon cake), is then steamed. 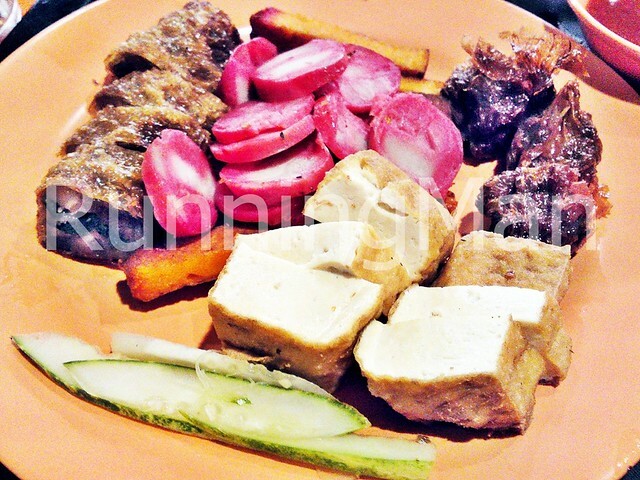 For the actual Carrot Cake dish, the steamed radish cake is chopped into small cubes, and stir-fried with eggs, preserved radish (Chai Poh), minced garlic, fish sauce and chili. From this point, there are 2 variations on Carrot Cake. 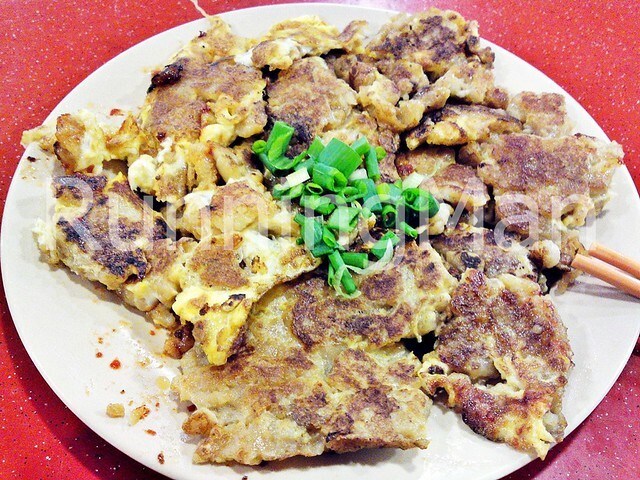 In Carrot Cake (White), the eggs are used to form a crispy outer crust around the radish cake. It takes great skill to prevent the eggs from overcooking while simultaneously forming an even crust. 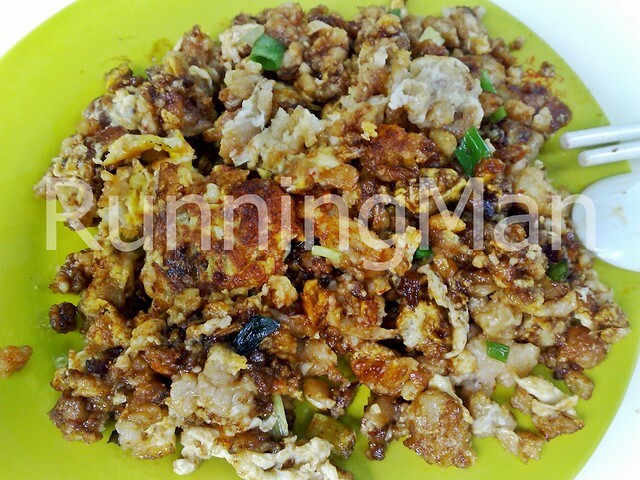 As a result, some hawkers tend to just stir-fry the eggs into the mix, similar to how they would make Carrot Cake (Black). Carrot Cake (White) should be moist inside, with a hint of sweetness. The crust should have a nice crunch with an eggy flavour, with a spicy kick from the chili. 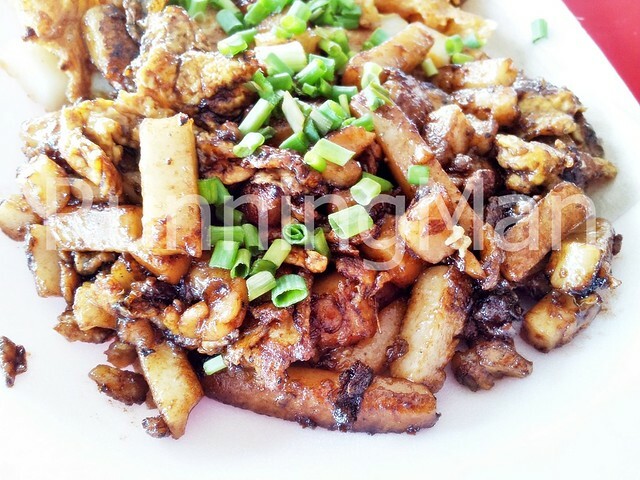 In Carrot Cake (Black), dark sweet soy sauce is added, which results in a sweeter overall taste as compared to Carrot Cake (White). Carrot Cake (Black) should have an even coating of sauce, and a nice caramelized flavour, with a more pronounced sweetness and the spicy kick from the chili. Carrot Cake is often served garnished with spring onions (Scallions), bean sprouts or chinese parsley. Some premium versions may include prawns. 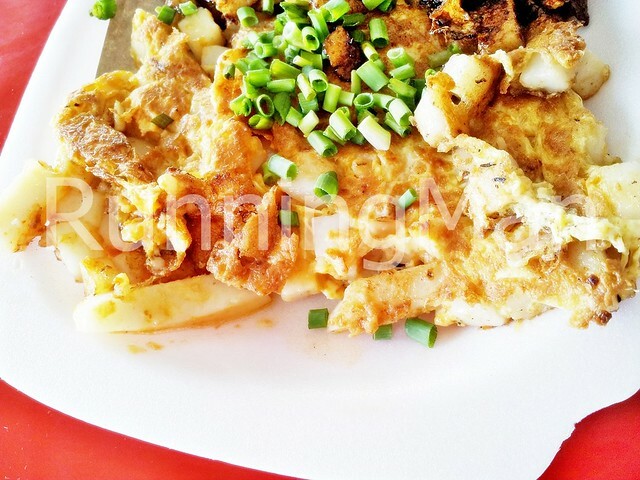 These are the top 3 stalls which I feel serve the best Carrot Cake (White) and Carrot Cake (Black) in Singapore. 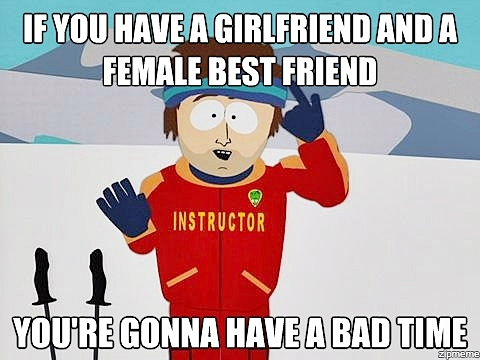 Having a Girl Friend And Female Best Friend... At the same time. 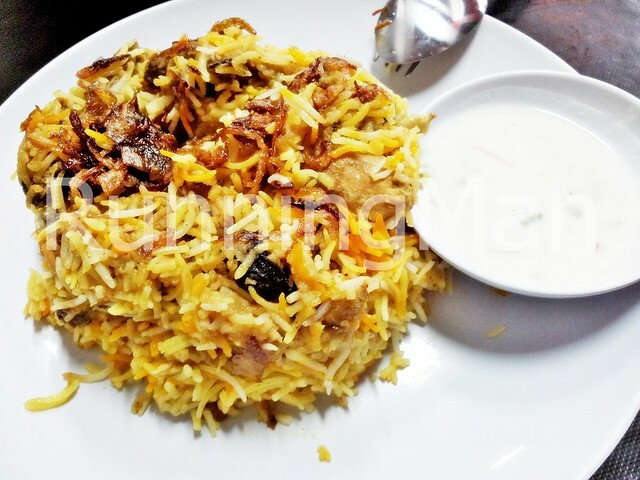 Biryani is a highly seasoned South Indian rice dish that is flavoured with many spices, and cooked in a large sealed metal pot. 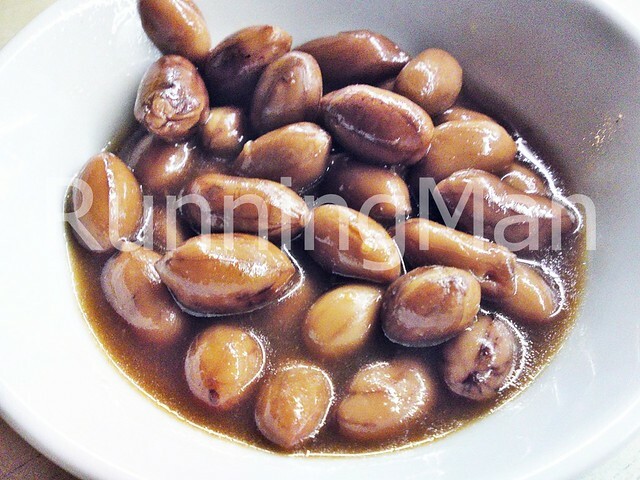 This gives it a fragrant aroma, a light, fluffy texture, and a complex taste from the spices. 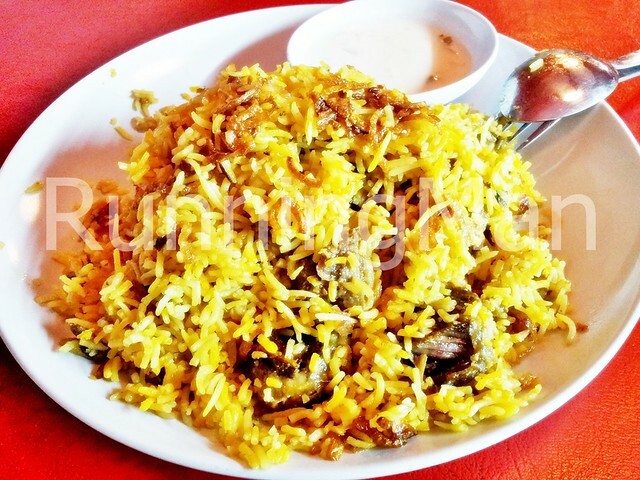 Biryani is often served with either Mutton, Chicken, Fried Fish, Prawns, a hard-boiled Egg, or Vegetables. 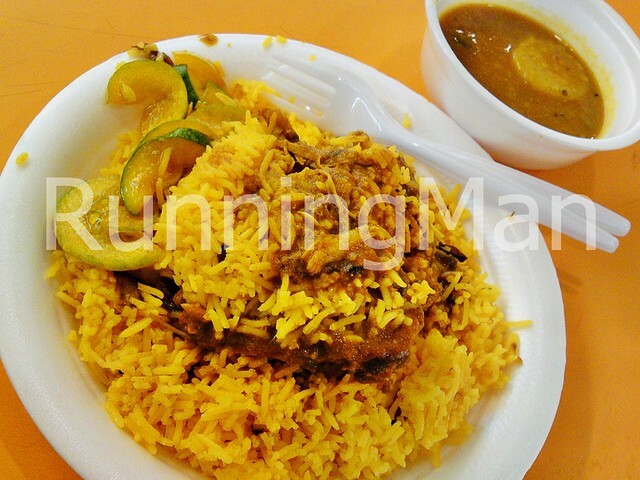 Traditionally, the rice used in Biryani is Basmati rice, a long grain rice that has a unique pandan-like aroma. Before cooking, the Basmati rice will need to be dried thoroughly, to enable it to better absorb the spices used in Biryani. 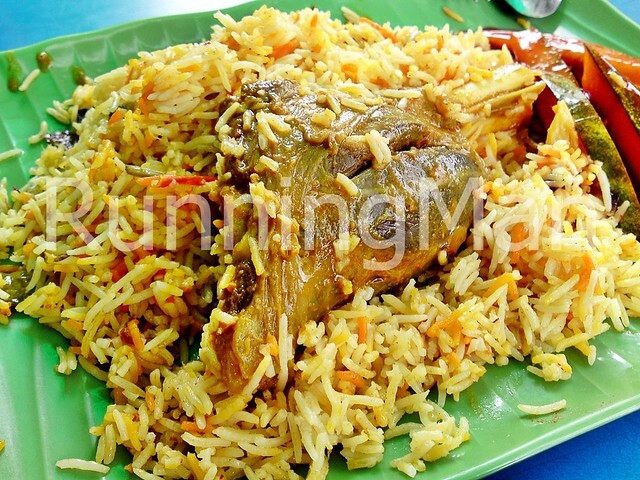 When cooked, the rice should not clump together, instead, each grain should separate from the rest easily. 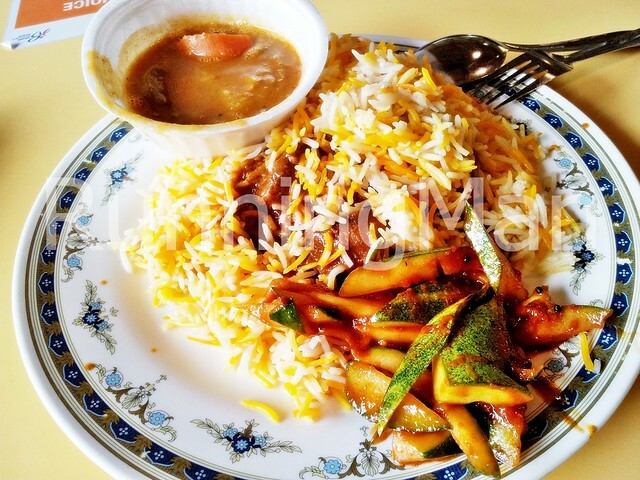 The basic spices used to prepare Biryani include clarified butter (Ghee), grated nutmeg, powdered mace, powdered turmeric, pepper, cloves, cardamom, cinnamon sticks, bay leaves, powdered coriander, mint leaves, ginger, cumin, onions, and garlic. Other ingredients and spices may also be added to enhance the taste, this includes chili, saffron, lemon juice, star anise, fennel seeds, raisins, cashew nuts, tomatoes and more. There are 2 schools of thought when preparing Biryani. 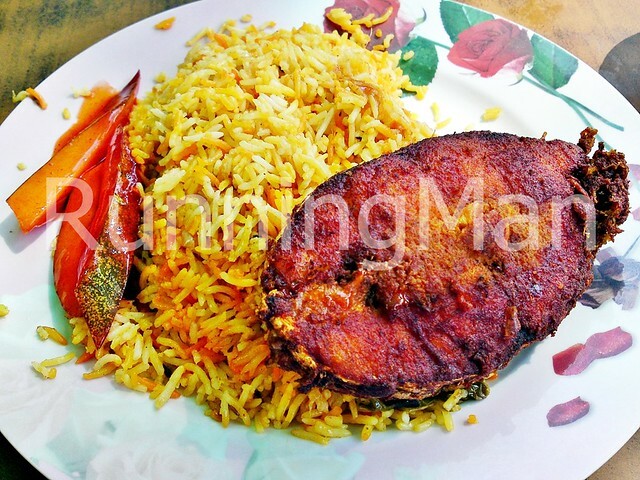 One side of the argument says that the rice and spices should be cooked together with the meat, while the other side says that the rice and spices should be cooked separately from the meat, then layered together and baked. Due to increasing competition today, some hawkers have resorted to using cheaper grades of rice, and flavouring it with Garam Masala instead of the traditional spices. This usually results in a less fragrant rice, with a mushier texture. 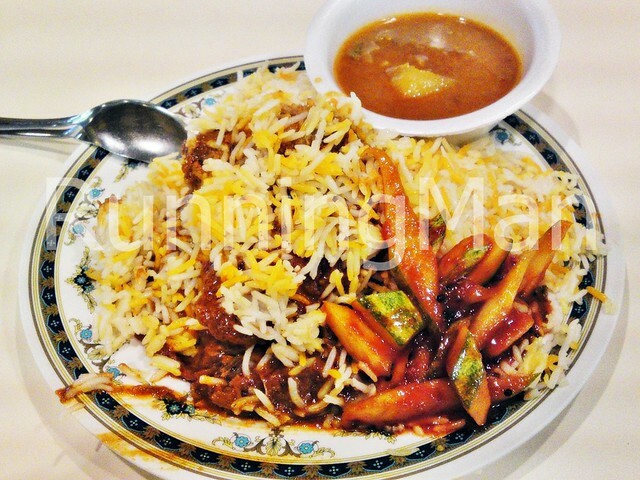 Biryani is served with the meat buried within the rice, and is usually accompanied by sides of yoghurt, chutney, a salad, or curry. 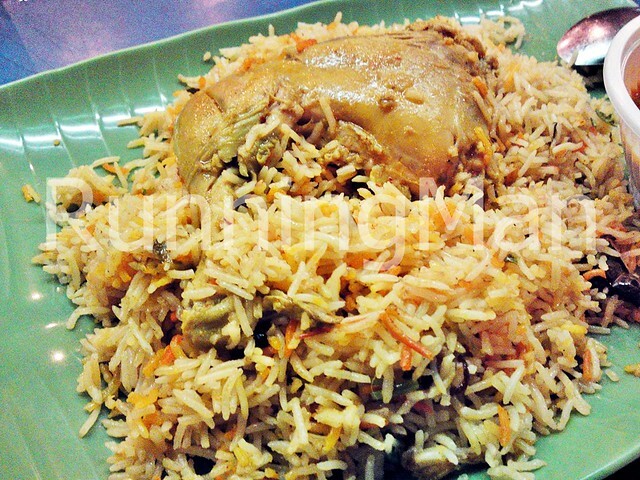 The word 'Biryani' is often mispronounced. The correct pronunciation is 'Ber-yani'. Personally, I prefer mutton to be served with my Biryani, rather than chicken or fish. 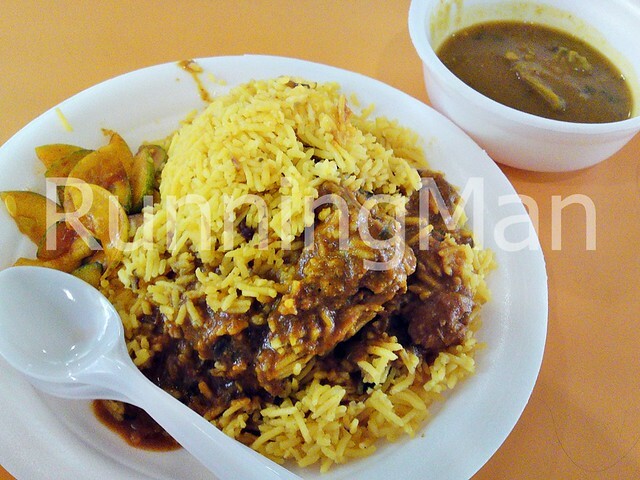 These are the top 3 stalls which I feel serve the best Biryani in Singapore. Beef Noodles is a dish of rice noodles, garnished with sliced beef shin, brisket, tendon, stomach, bean sprouts and beef meat balls. There are 2 main variations on Beef Noodles. 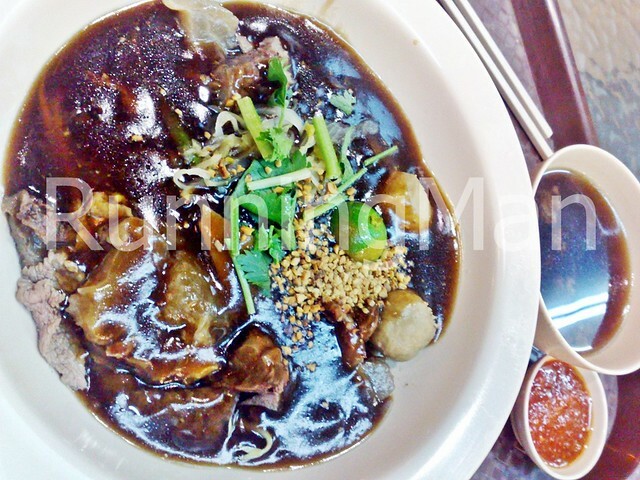 The Teochew version of Beef Noodles uses flat rice noodles (Kway Teow), and is normally served in a rich, meaty beef broth. 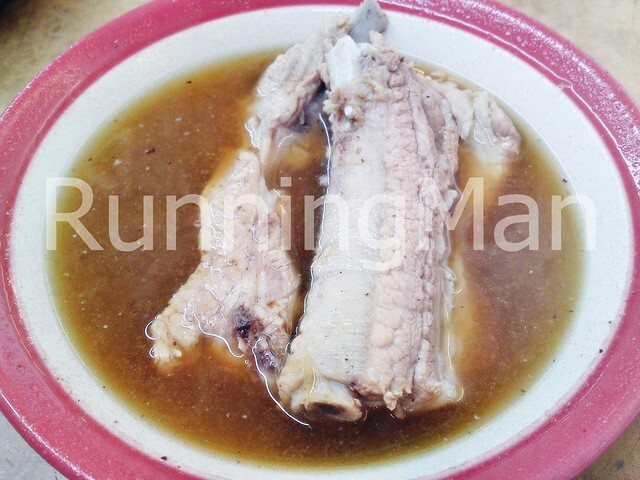 The soup is made from stewing beef bones, brown sugar (Gula Melaka), blue ginger and beef extract (Bovril) in a beef stock. However, the final broth should be clear. 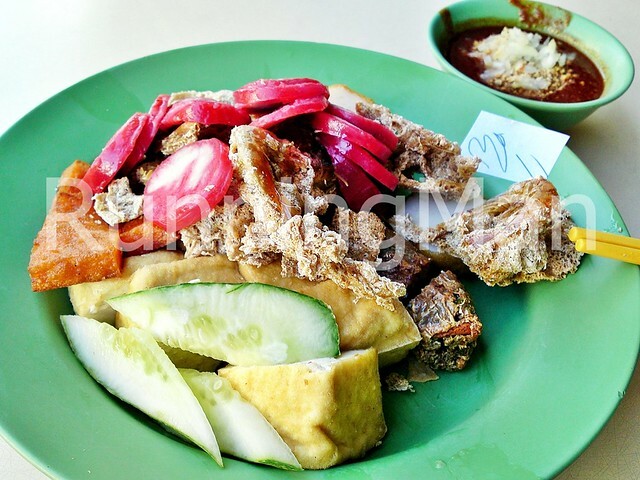 The Teochew version has additional garnishes of pickled vegetables, ground peanuts and grated blue ginger. The Hainanese version of Beef Noodles uses thick rice vermicelli noodles (Chor Bee Hoon), and is normally served in a thick beef gravy. The gravy is made from stewing then reducing beef bones, beef stock, sweet potato starch, dark soya sauce, star anise, cloves, and cinnamon sticks. 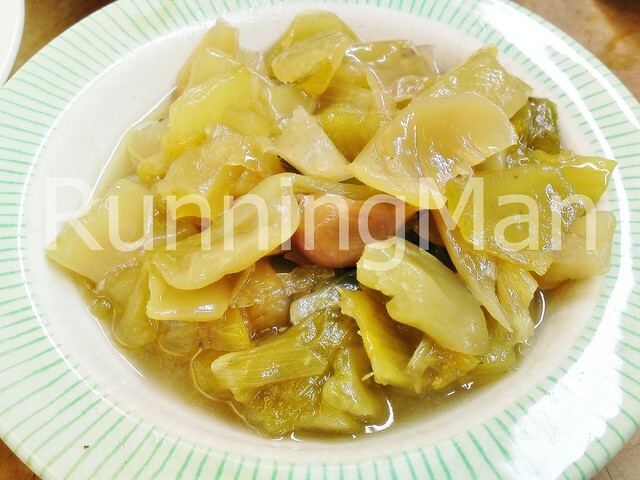 The Hainanese version has additional garnishes of pickled vegetables, fermented shrimp paste (Chinchalok), lime and chinese parsley. 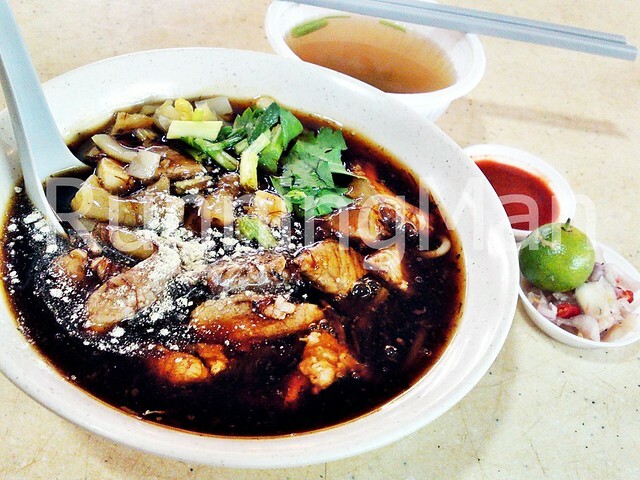 Most stalls that sell good Beef Noodles normally have their own enhanced receipe for the soup and gravy, adding in a variety of herbs and spices to differentiate their dish. Some stalls also create their own chili sauce, which is served alongside the Beef Noodles. I normally prefer the dry version of Beef Noodles, with a side of soup. That way, I can have the best of both worlds! 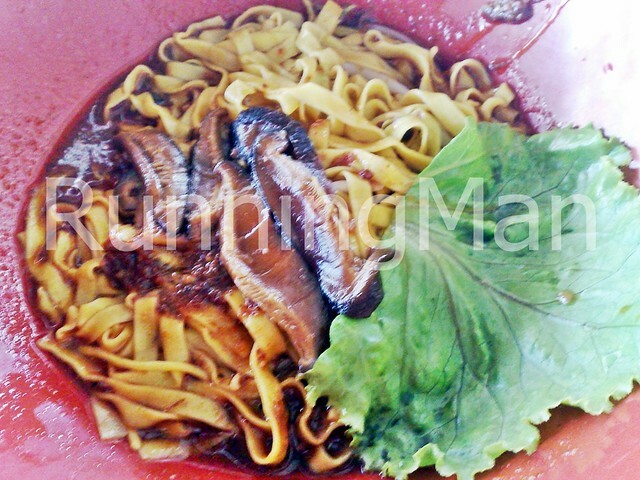 These are the top 3 stalls which I feel serve the best Beef Noodles in Singapore. 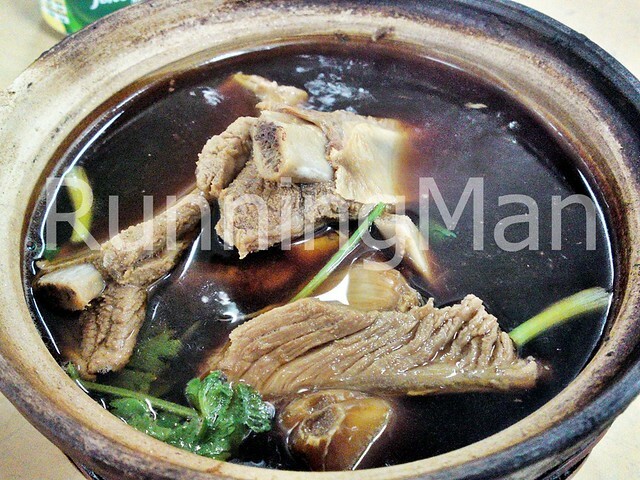 Bak Kut Teh, as the name implies, is a complex broth of herbs and spices in which pork bones are stewed. The traditional way to consume this soup was with a cup of tea, which helped cut through the richness and fattiness of the dish, and also gave rise to the name of the dish. 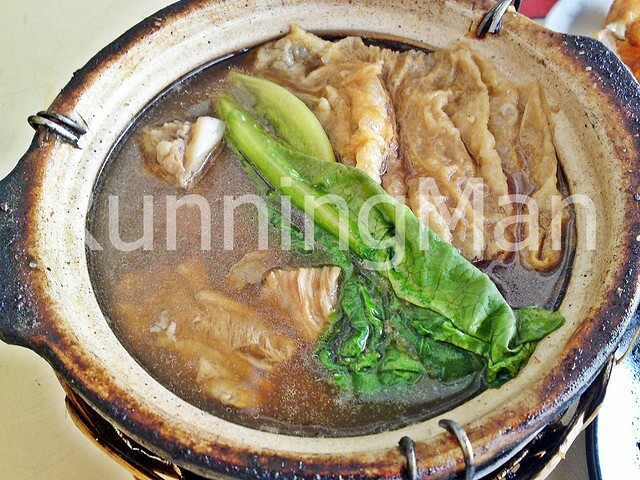 There are 2 main variations on the broth for Bak Kut Teh. 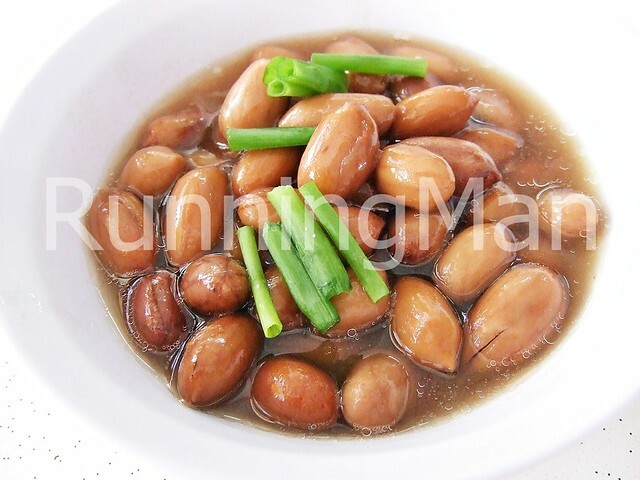 The Teochew (White) version of the soup is lighter, and uses only salt, garlic cloves, white peppercorns or black peppercorns and light soy sauce. 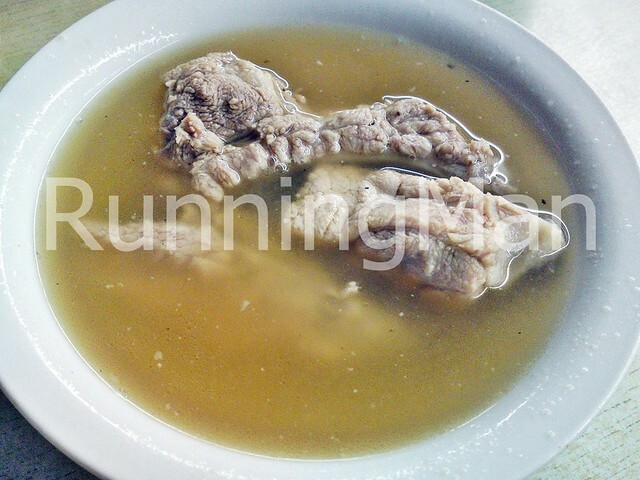 Thus, Bak Kut Teh (White) often has a clear soup, with a robust, meaty flavour from the stewed pork bones, and a strong peppery taste. 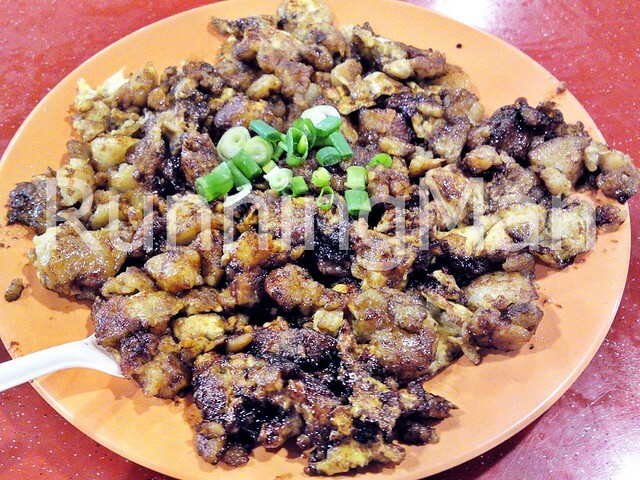 Some hawkers may enhance the taste by adding herbs like star anise or cinnamon sticks. 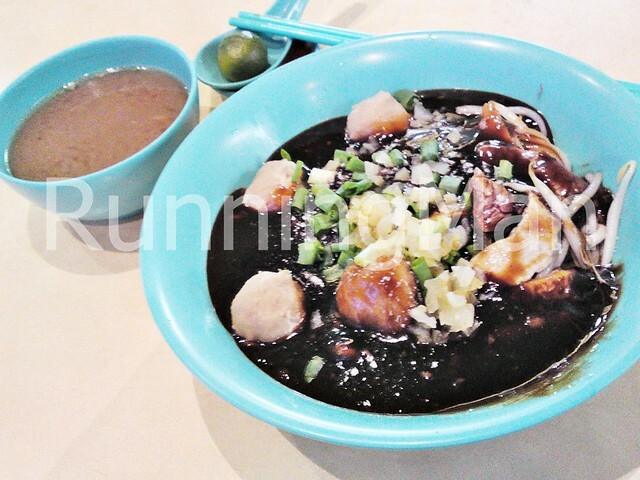 The Hokkien (Black) version of the soup is heavier, from the variety of herbs used. 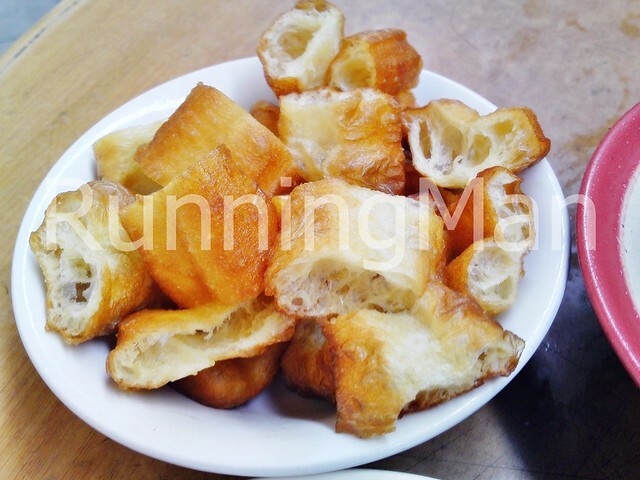 These include salt, garlic cloves, white peppercorns or black peppercorns, light soy sauce, dark soy sauce, star anise, cinnamon sticks, cloves, sugar, dried shitake mushrooms, fennel seeds, dried tangerine or mandarin orange peel and fried tofu puffs. Chinese herbs that are added include dried chinese angelica (Dang Gui / Female Ginseng), goji berries (Chinese Wolfberries), codonopsis pilosula root (Tang Shen), solomon’s seal root (Yu Zhu), chinese licorice root (Gan Cao) and cassia bark (Chinese Cinnamon Bark). Before serving, it is often garnished with chinese broccoli (Kai-Lan) and fried shallots. 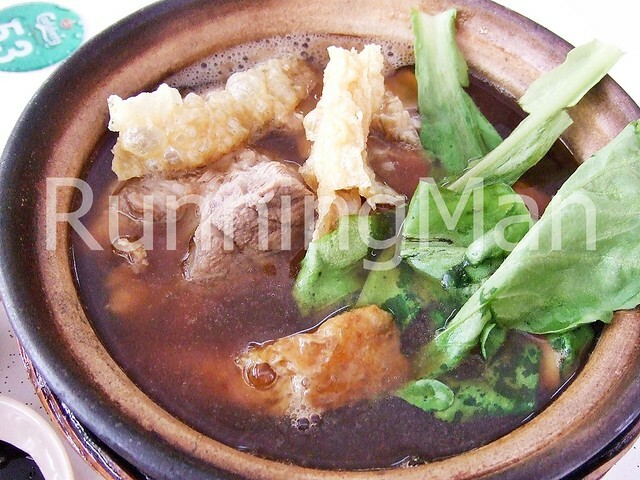 Thus, Bak Kut Teh (Black) often has a darker soup, with a strong herbal flavour. 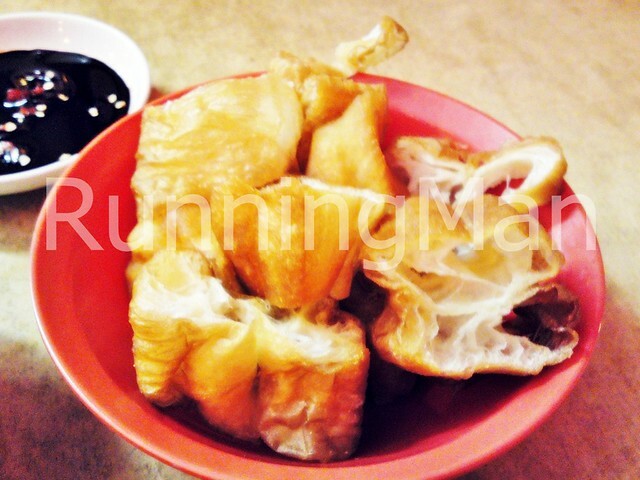 The meaty flavour from the stewed pork bones isn't as strong in this version. 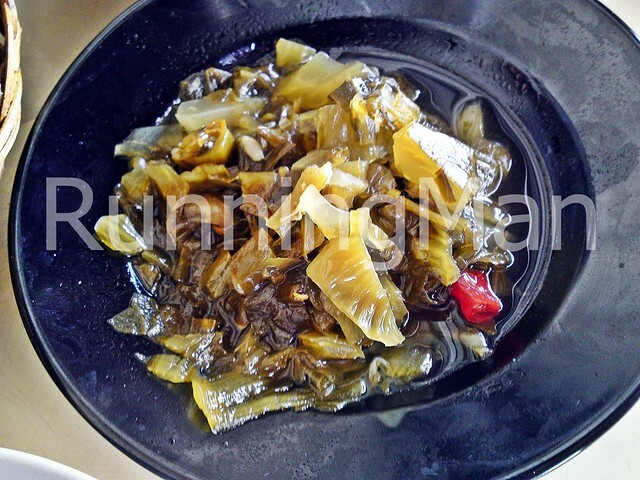 Some hawkers may enhance the taste by adding other herbs including chinese yam (Huai Shan), lovage root (Chuan Xiong), rehmannia glutinosa (Shu Di) or astragalus root. 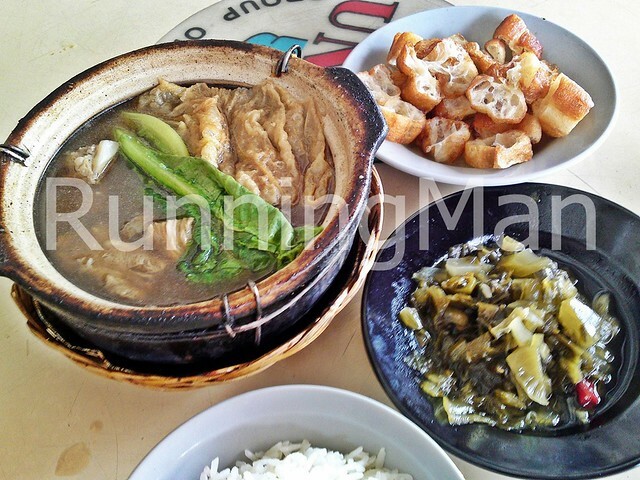 Bak Kut Teh (White) and Bak Kut Teh (Black) are rarely eaten as stand-alone dishes. 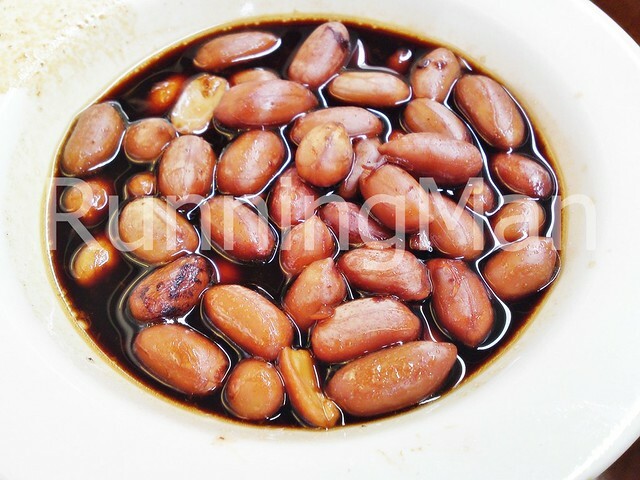 It is often served along with rice, pickled vegetables, braised peanuts, chinese fried dough fritters (You Tiao / You Char Kway) and of course, a cup of Tea. While spare ribs are the traditional cut of pork ribs used in Bak Kut Teh, other cuts of pork rib can typically be substituted upon request. 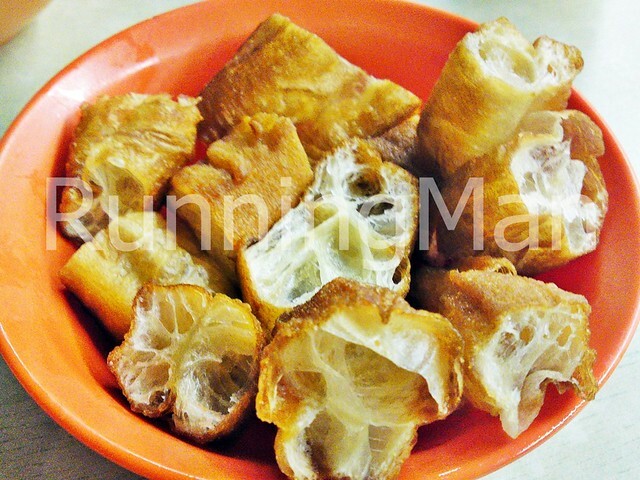 Most Bak Kut Teh stalls also serve a whole range of other dishes, often from other parts of the pig. 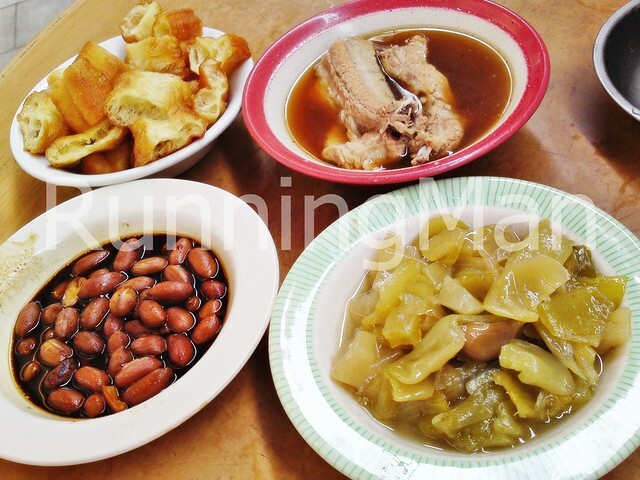 Popular items include Braised Pig's Trotters, Braised Pig's Intestines, Blanched Pig's Kidney and Braised Pig's Tail. 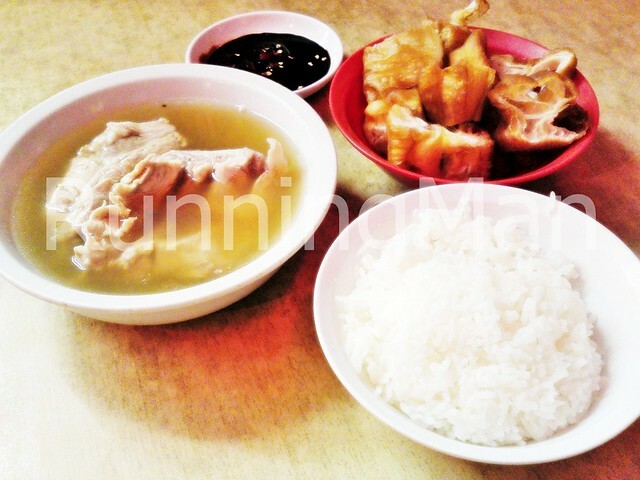 These are the top 3 stalls which I feel serve the best Bak Kut Teh (White) in Singapore. 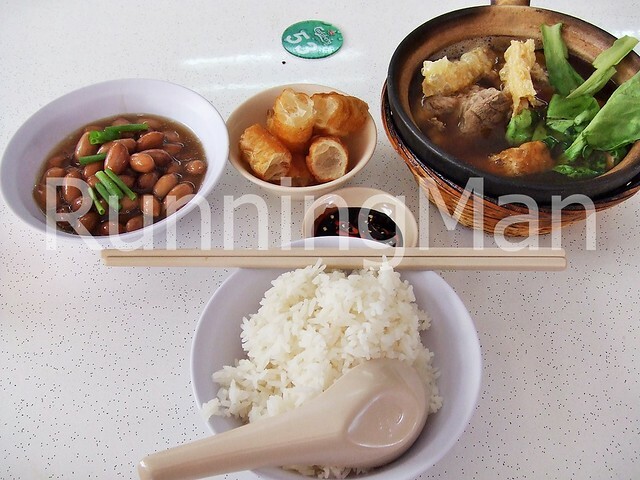 These are the top 3 stalls which I feel serve the best Bak Kut Teh (Black) in Singapore. 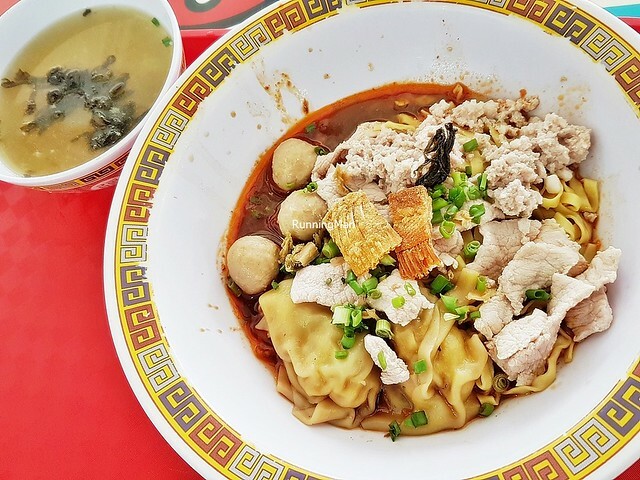 Bak Chor Mee is a Teochew dish that consists of either flat egg noodles (Mee Pok), or thin egg noodles (Mee Kia), traditionally garnished with minced pork, fried pork lard cracklings, braised mushrooms, bean sprouts and fried crispy sole fish. A later version of Bak Chor Mee the majority of Singaporeans are familiar with also includes garnishes of lean pork slices, pork meat balls, lettuce, seaweed, fried shallots and pork liver. Stiff competition today means vendors of modern Bak Chor Mee may try to differentiate their food by including fish cake, prawn cake, fish balls, deep-fried pork dumplings, steamed fish dumplings (Her Giao) or crabstick. Or they might go up-market with premium ingredients like scallop, prawns, abalone or lobster. 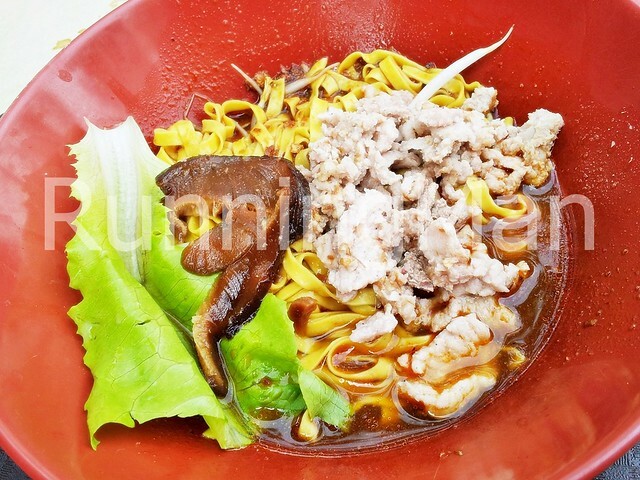 The key secret of a good Bak Chor Mee, besides freshness of ingredients, is the sauce or the soup it is served with. Bak Chor Mee (Soup) must have a clear broth with rich, meaty flavour made from stewing pork leg bones. 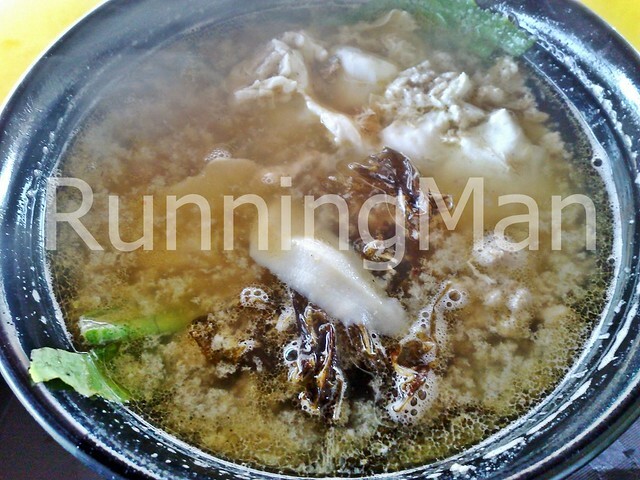 Most versions of the soup also stew together a few other ingredients, which may include dried scallops, dried sole fish, chicken stock, dried shrimp or chinese black vinegar. These ingredients often bring an additional dimension of taste to the soup, although true Bak Chor Mee masters can achieve tasty soups just by using fresh, good quality pork leg bones. Bak Chor Mee (Dry) must have a sauce made from vegetable oil or lard, light soy sauce, chinese black vinegar and chili paste (Sambal). The key to a good sauce is the right balance in the combination of ingredients, as well as using a good quality chinese black vinegar and chili paste. I normally prefer my Bak Chor Mee (Dry) without pork liver and modern version ingredients, served with flat egg noodles tossed in sauce. I think the closest western counterpart to Bak Chor Mee would have to be linguine with minced pork and mushrooms, done aglio olio style. 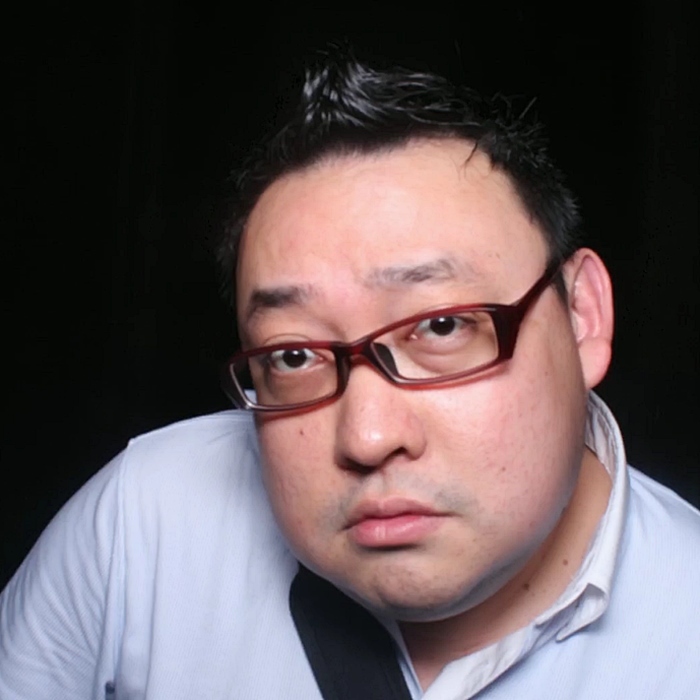 These are the top 3 stalls which I feel serve the best Bak Chor Mee in Singapore. 5 Spice Roll is a dish that consists of various deep-fried meats, seafood, and other ingredients. There are 3 different variations on the actual 5 Spice Roll. 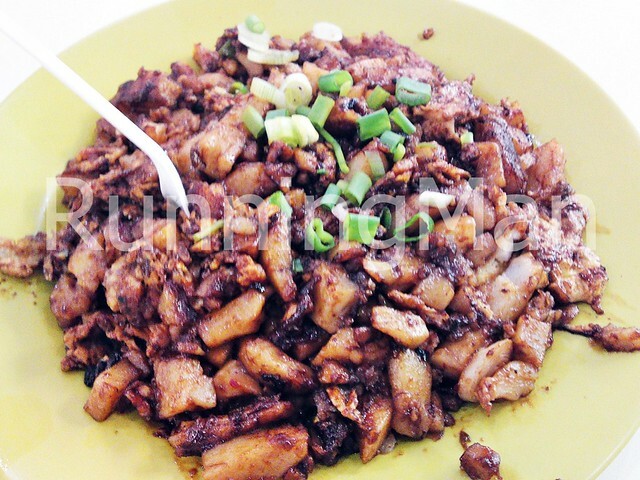 The most common Teochew version has minced pork mixed with yam, shrimp and water chestnuts. 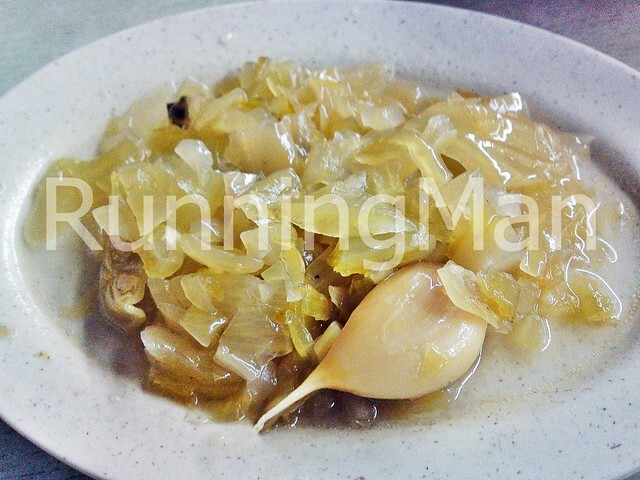 The Hokkien version has minced pork mixed with onions. The Liver Roll version is basically minced pork liver. 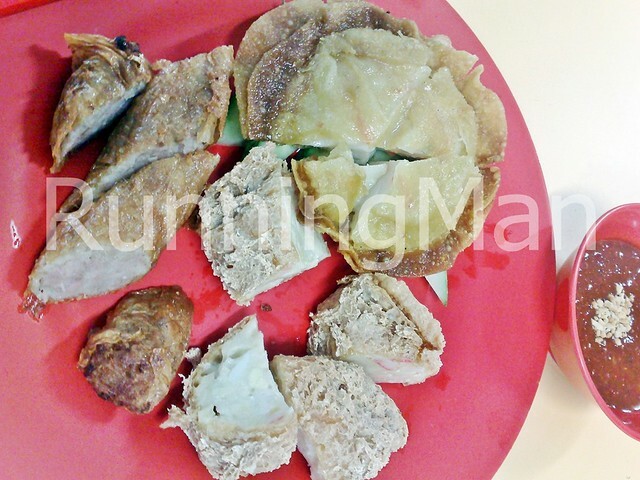 All 3 variations are seasoned with Chinese 5-Spice Powder, wrapped in a dried tofu skin, rolled into a sausage, and then deep-fried. Besides tasty Pork Rolls and Pork Liver Rolls, a good 5 Spice Roll stall will also have excellent versions of the following traditional items; namely chinese pork sausages (Lup Cheong), prawn fritters, and egg rolls. Other deep-fried ingredients served by 5 Spice Roll stalls often include chinese firm dry tofu, sweet potato cakes, taiwanese pork sausages (Xiang Chang), century eggs, battered hard-boiled chicken eggs, fish balls, fish cakes, prawn rolls, prawn cakes, water chestnut cakes, etc. 5 Spice Roll is often served with sliced cucumbers, fried vermicelli (Bee Hoon) and 2 dipping sauces; a sweet pink egg sauce, and a spicy chilli sauce with ground peanuts. 5 Spice Roll stalls aren't very common in Singapore, and often, most of these stalls use ingredients from a central supplier's factory. Such stalls often have average, acceptable standards of food, although they may try to outdo the competition with their sauces. However, the really stand-out, fantastic stalls will hand-make most of their traditional 5 Spice Roll items, giving them an edge in taste, texture, and freshness of ingredients. 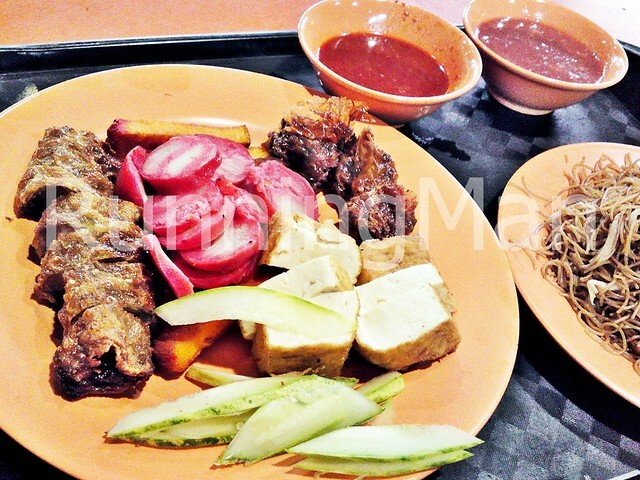 These are the top 3 stalls which I feel serve the best 5 Spice Roll in Singapore.